Learning and play should go hand-in-hand, but so many of the toys available today aren’t great at promoting learning. If you’re searching for a fun way for your kids to learn, STEM toys are a great choice. STEM toys are specifically designed to educate your kids while they’re having fun. In addition to providing learning opportunities that will help them improve their science, technology, engineering, and math skills, these cool toys are also seriously fun. 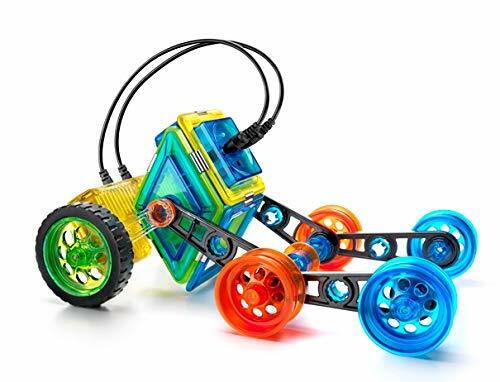 From building their own robot to creating a new video game, if you’re looking for some of the best STEM toys in 2019, your kids will love playing with these nine cool STEM toys. 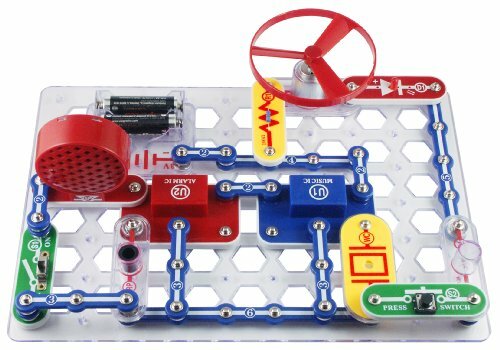 If you have an older child that’s curious about electricity, this fun STEM toy is a perfect choice. The 30-piece beginner set has everything your little engineer will need to create up to 100 different circuit projects. Snap Circuits Junior comes with large color-coded pieces that easily snap together, making it perfect for little hands. And the simple instructions and user-friendly interface make it easy for users to understand when they’ve made a mistake and how to fix it. Buy the Snap Circuits Jr. Kit here. Whether they’re building two-dimensional shapes or more complicated three-dimensional objects, your kids will love these magnetic tiles. The translucent and colorful tiles are easy to grip, making them perfect for preschoolers. 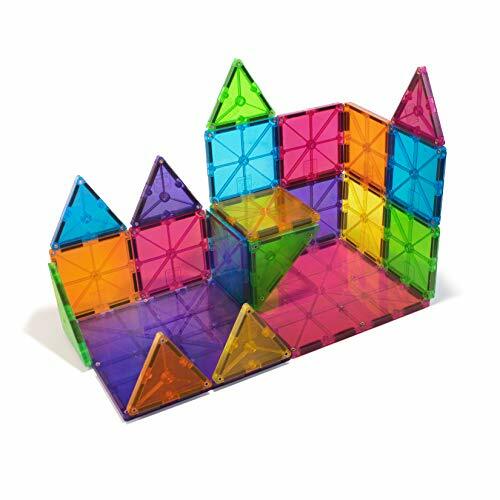 But they can be combined to create some seriously cool structures – making Magna-Tiles a great STEM toy for older kids, too. The basic set comes with 32 pieces, which is enough to build a variety of small structures, but with additional expansion packs, your kids can get really creative with their designs. Buy the Magna-Tiles Set here. 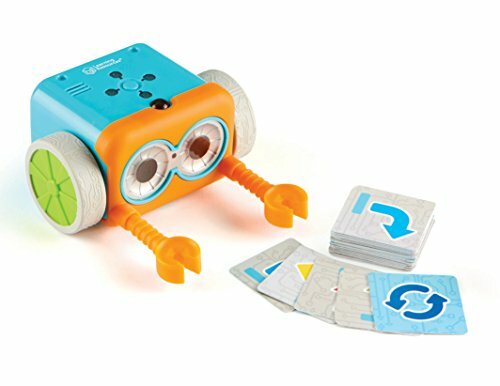 Help your younger child learn to code with this cute robot toy. Botley the Coding Robot comes with a variety of moving parts, allowing your little one to program the robot to go through a sequence of moves – up to 80 moves at a time. They can even build obstacle courses for the robot to go through and plan out their robot’s path using coding cards that are included with the kit. Buy Botley the Coding Robot here. Nintendo Switch users will love this fun game extension that combines real-world engineering skills with video game play. You can choose from three fun options, including a robot kit, a vehicle kit, and a variety kit. Each Nintendo Labo kit comes with pre-punched cardboard to create the different projects, which can be used to navigate through different minigames on their Switch. Buy the Nintendo Labo Variety Kit here. Everything is more fun with color and the awesome science experiments that come with the Crayola Color Chemistry Lab Set are no exception. This cool kit comes with enough ingredients to conduct 16 experiments in the box, along with instructions for almost 50 other fun projects using ingredients commonly found throughout the house. Your kids will have a blast creating colorful exploding volcanos or brightly colored quicksand using this fun STEM toy. 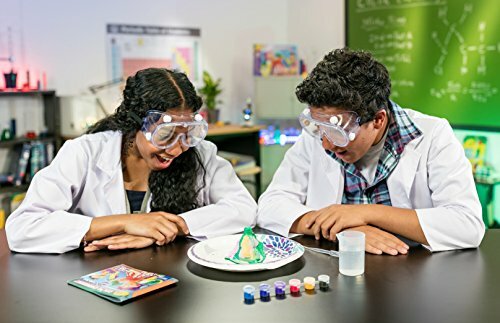 Buy the Crayola Color Chemistry Lab Set here. A robotic vehicle your kids can build themselves? What’s cooler than that? By clicking together the individual pieces, which are magnetic for easy assembly, your kids can create a fun robot car. And the included remote control with the GeoSmart Flip Bot gives them the ability to race their cars and even flip them over. There are a variety of configurations your kids can make using the included magnetic shapes, wheels, motors, and wires so they can get creative with this unique STEM toy. But the GeoSmart Flip Bot here. Teach your child coding under the guise of magic with this fun STEM toy that combines a little bit of pop culture with science. Buy the Harry Potter Coding Kit here. While these classic building blocks aren’t the most technologically advanced STEM toy on the list, there’s something to be said about a building set that has withstood the test of time. 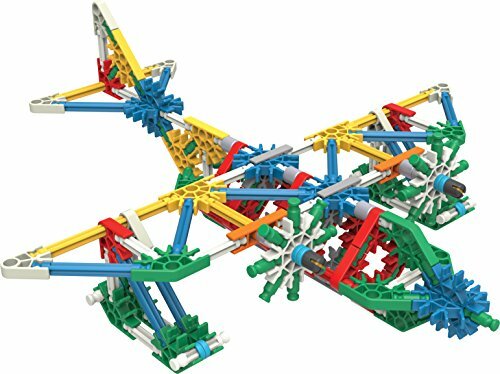 Featuring an array of rods and joints in various sizes and shapes, K’Nex give your kids a chance to use their imagination to create anything from a dragon to a spaceship. The basic set comes with instructions for 52 different projects they can construct or they can use their own ideas to build something completely new. Buy the K’Nex 70 Model Building Set here. Video game lovers will enjoy this fun STEM toy, which gives your kids a chance to create their own video game. This toy, which is recommended for older kids, contains everything they’ll need to design their own game, characters, and video game art. 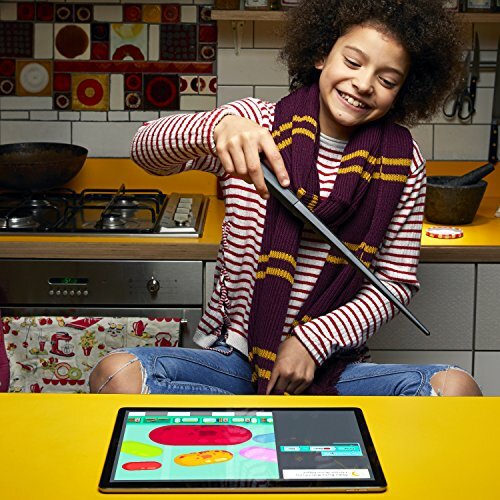 Using an app on their computer or tablet and the included Bloxels game board, your kids can create their game using colored blocks. After snapping a picture with their device, they can start playing. And they can share their game with their friends so everyone can get in on the fun. Buy the Bloxels Build Your Own Video Game Kit here.